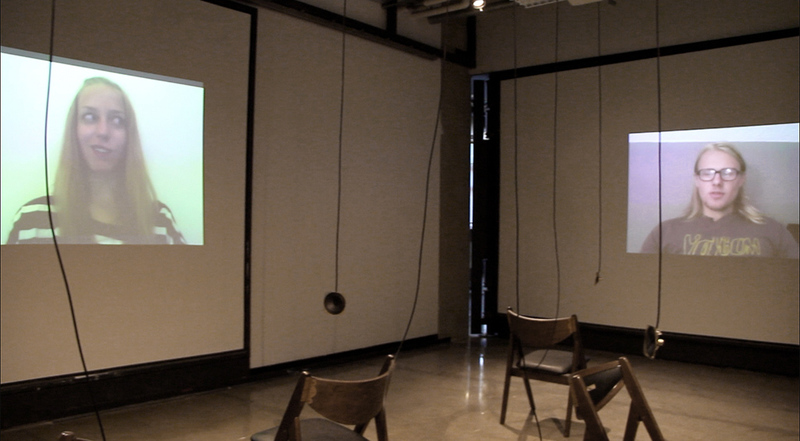 “Re-Presented Narratives” is made up of four chairs that face four large screens on four walls of a room. 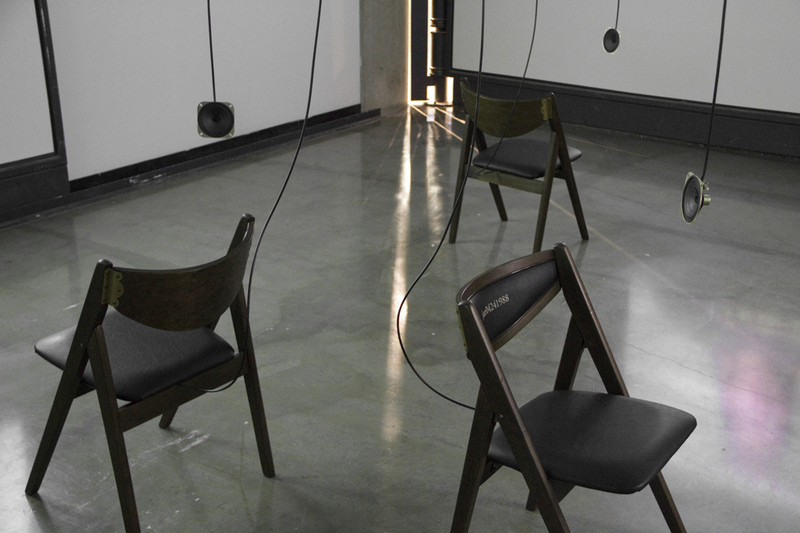 Small speakers dangle from cord at ear height by each chair. The chord runs from the speaker to the seat of the chair. Each screen shows individuals who experienced the performance from nearly a year ago, telling their own remembrances. 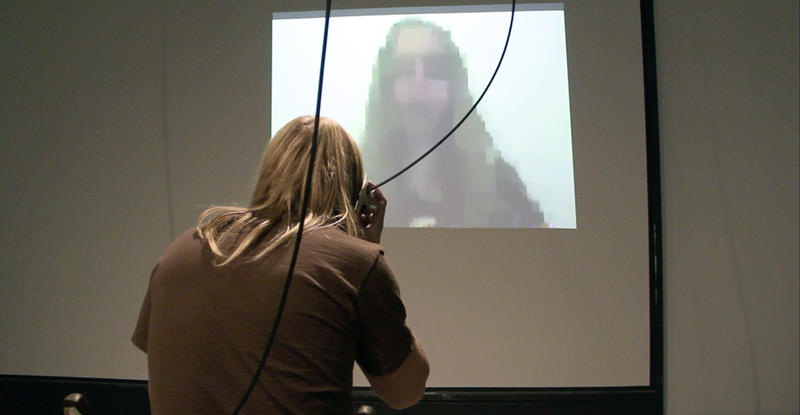 The speakers’ volume is faint, prompting audience members to hold the speaker up to their ear to hear the voices. 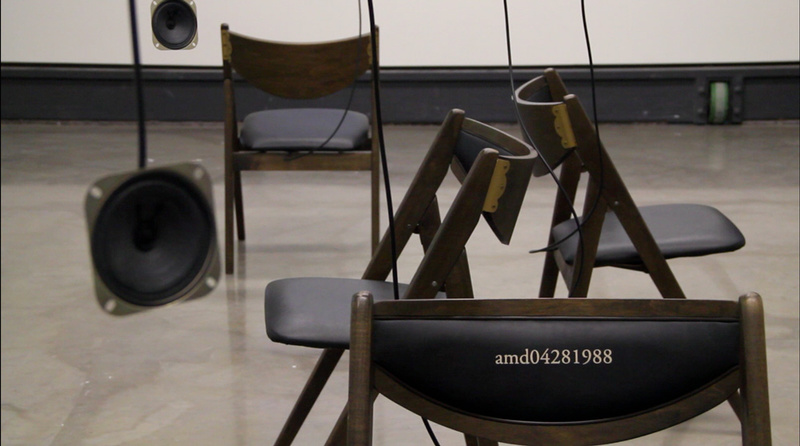 When people sit in the chairs a circuit is created–from chair, person, speaker and story. When the circuit is activated, the visibility of sound and image become inverted and distorted. Each engagement with the piece creates another a copy in a series of copies, creating echoes of the original telling. The only way to hear a lucid version of the narrative is to remove one self from the circuit, by standing.